The I Am Cait star is speaking candidly about her ongoing feud with the Kardashians. According to Cambridge News, the subject came up when Caitlyn Jenner made an appearance at the Cambridge Union in England to discuss the aftermath of her 2015 transition on Monday, Nov. 6, 2017. "It's been a little bit tough over the last couple of years on the Kardashian side," Jenner, 68, began. "To be honest, I don't talk to them anymore. Kim, I haven't talked to in a year." Kim's sister Khloé reportedly hasn't spoken to Caitlyn in over two years. "They don't want me in their lives, they bashed me pretty badly," she continued. "It's devastating when your kids do that. It really hurt." While she remains close with her youngest kids, Kendall and Kylie Jenner, Caitlyn admitted, "I don't know what the future holds. We will see. My life revolves around my children." As Nicki Swift previously reported, Jenner's strained relationship with the Kardashians stems from claims she made about Kris Jenner in her tell-all memoir, The Secrets of My Life. Caitlyn, who is reportedly dating 21-year-old model Sophia Hutchins, said her ex always knew about her gender identity but was not supportive throughout her transition. 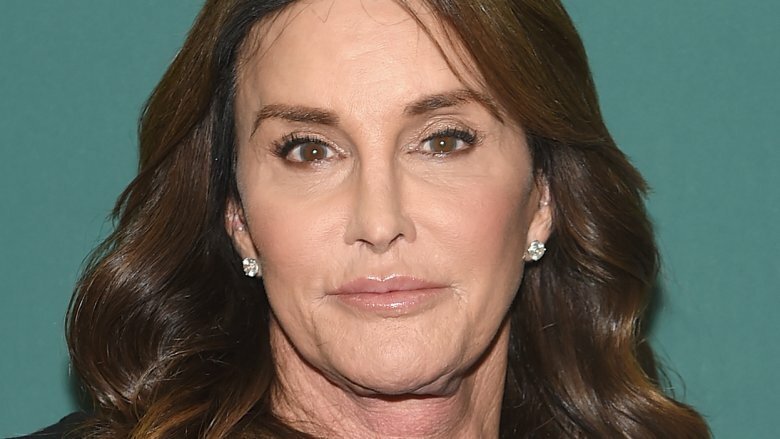 Although Kris has since accused her of lying, and Kim has repeatedly come to her mom's defense, Caitlyn doubled down on her claims during her Cambridge Union appearance. "As far as Kris, when I met her I had to be honest. She was aware of it at the beginning, but she but some restrictions on it," she told the students. "I had my own little getaways where I could go be myself. She knew about it, but I just didn't do anything around her." "I tried to be honest in my book. Very fair and very nice. Unfortunately they didn't take it that way," Jenner added. "In the book, I express some opinions and got shut down. It was not about the Kardashians. They were only mentioned on 20 pages. They made it more about them on television. The book was about my life. That's caused a lot of the separation between us." Hopefully, the Kardashian-Jenner clan will be able to make amends one day.